The first step towards glamping is finding the tent that appeals to you aesthetically. Afterwards, the modern glamper will personalize his or her campsite to make it unique. There are many ways to do this, more than I can get into here, but think about the possibilities of solar panels and water fountains. Air mattresses and inflatable furniture combined with comfortable plush rugs and portable air conditioners, heaters, generators, and camp stoves. Apple Computer Company has put Netflix in the hands of everyone who has an iPhone, and modern camping will never be the rustic discomfort that it once was; there are even portable camping toilets and stoves available. Besides having “a hut of ones own”, there are several reasons to look toward glamping as a means of lodging instead of hotels or traditional accommodations. Most importantly in today’s economy is the fact that tents are very affordable, don’t require much in the way of upkeep, and offer their user autonomy. Your personalized camp will be your home away from home as you set out on different adventures. Whether you are attending the Olympics, the World Cup, or a NASCAR race or football game, setting up your own glamping site will allow you to experience of taking home to where the action is, and it is form of lodging that can be reused time and time again. Roomy tents are often preferred for glamping, and here are a few examples. The Tensile Tent: Designed to be hung hammock style between two trees, this option gives a sleeping platform suspended above the ground, and the user can set up whatever manner of glampsite on the ground below. Not only does this tent offer the security and freedom of high places, but it acts as a shelter in and of itself for the part of your campsite that is on the ground. The REI-Kingdom Tent: This workhorse screams ruggedness and security. 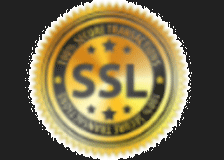 Its streamline structure is designed to be aerodynamically superior in the event of high winds or inclement weather. The inclusion of mosquito netting offers a nice opportunity to enjoy a porch like experience where the tent widens at the front, while the rearmost tapers into a very snug den like area that is perfect for an air mattress or pile of buffalo robes or blankets. 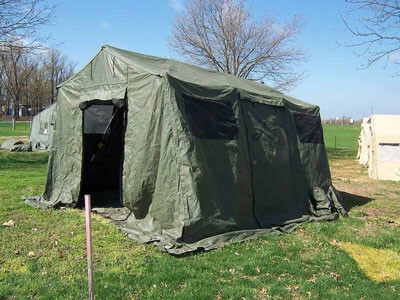 Military Surplus GP Tent: These rugged used military surplus tents are general purpose tents and they are easily glamped out. One only has to remember Hawkeye and BJ in MASH to see what opportunities of customization are available to you as a glamper. You may not want to build a still in your GP military surplus tent like they did, but it’s nice knowing you could if you want to. There is plenty of room for a bed and furniture as well. Kodiak Canvas Tent: This beautiful tent is the civilian model comparable to a military grade GP tent. There is plenty of room as in the GP tent; however, the aesthetics are different. Whereas the GP tent says “Doomsdayer” or “Apocalypse Survivor”, this one screams “Mountain Man” or “Fur Trapper”. One can easily imagine raw furs hanging from the corners of the Kodiak Canvas Tent, while fresh game roasts on a spit over the fire. Base X Tent: A Base-X tent or folding frame tent is a military surplus tent that is interactive with other Base-X Tents. In other words, these babies can be used to build a compound or a veritable glamping community. In the military they were often set up in an X formation with a base tent as the very center. This would be an excellent pick for group glamping with friends or family, especially if you were interested in being able to hang canvas walls for privacy or have large sheltered areas available for a large meal or gathering. DRASH tent: The Deployable Rapid Assembly SHelter, or DRASH tent is very similar to the Base-X tent with the difference being ease of portability and a more aerodynamic frame which would be better suited for wind resistance than would be the Base-X tents. The DRASH tent is a single unit which includes frame, sides, and floor; therefore, it is not necessary to bother with special tools when being set up nor are there loose parts to misplace. Like a Base-X tent, the DRASH tent is interactive with other DRASH tents. Temper Tents: The Tent, Extendable, Modular PERsonnel or TEMPER tent is designed to be interactive as well with other TEMPER tents to increase in length by eight feet at a time. Built a bit more ruggedly than Base-X or DRASH tents and with better insulation, the TEMPER tent supports accommodations such as heating and air conditioning, and electric wiring from generators. This would be an excellent choice for glamping under harsher conditions, such as the Superbowl in February or opening day of trout season in New York. Urban Escape and Vango Lumen: These are both tents that are popular for personal, ultra-portable glamping because they are so roomy and cool. Both come with a sleeping section separate from the “living” area and the perception is that one has a front porch already customized to ones glamping shelter. The Vango Lumen even has an extended awning to provide shelter for camp chairs, a fire, or outdoor sleeping. The Safari Tent: Last but certainly not least is the Safari tent. A rugged and easily portable tent, the Safari embraces the no nonsense utility of military surplus tents and used army tents, but it also makes one think of a little cabin in the woods, or as mentioned earlier, “A hut of one’s own.” The safari tent is aesthetically pleasing to the eye and would make just as good as a deer camp as it would a woodland retreat with a fountain and a little stone path surrounding it. Whatever your choice for your glamping adventure, rest in the knowledge that your glamp is your own and you won’t be dependent on the provision of others if you choose to glamp rather than travel traditionally. Happy glamping.